If you are hoping to protect your garage from flood damage, start by inspecting the space. Pull everything out of your garage so you have a full view of the floor, the walls, the ceiling, and your garage door. Removing everything you have in your garage may seem a bit extensive, but the alternative could be overlooking a leak that could lead to major damage. Look for cracks in the flooring and walls that water could run through. Seal anything you think looks risky. Fix any holes in your roofing as well to ensure water is not dripping down from above. Most repairs should be fairly easy, but a contractor may be needed if extensive repairs are necessary. Once you have inspected the flooring, check out your garage door. Garage doors are the most common point of entry for water, so be sure your door does not have any cracks or holes. Additionally, inspect the rubber strip at the bottom of your garage door and make sure it is sealing tightly with the floor when closed. If the rubber strip is damaged, make any needed repairs or consult a garage specialist. Those living in areas with high flood risk may want to consider additional sealing to ensure their garage door is keeping water out. Some older garage doors may be too far past their prime to offer protection from water. If you have an older garage door, it may be time for an upgrade to ensure you garage’s structure and contents remain safe. Finally, inspect your gutter and garage drainage systems. Gutters help divert water away from your garage, but they can get clogged easily with fallen leaves and debris. If you are having water troubles, check your gutters to make sure they are working efficiently and effectively. If flooding has already occurred, it is important to tackle the issue as soon as possible. The longer water sits in your garage, the higher the chance of damage. First, look for and address any damage. Pay attention to any electrical components which can be easily damaged in flooding. Take pictures and make a list of any damage you find, so you can report that to your insurance agent. 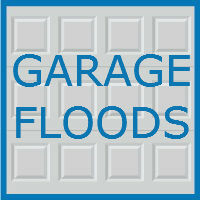 Make sure that all of the water is removed from your garage first, then remove any damaged items. Once everything has dried, disinfect anywhere that got wet with household bleach. This will prevent mildew and mold from popping up in your garage. When you are home, leave the garage doors and windows open for as long as you can to help the space dry out. Any major structural damage you find will need to be addressed by a qualified garage specialist. Garage troubles? The team at Blue Sky Builders has got you covered. Whether you need tips and advice from our garage specialists or hands on help with a project, we are ready to serve you. 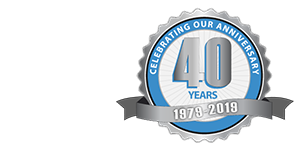 Call 630-852-8485 today or visit Blue Sky Builders online to learn more about the variety of garage services we offer.